These Buckle fastened Gizeh BF Shiny Snake Sandals have a synthetic Birko-Flor leather alternative upper and are black with multicoloured oil on water metallic detail. They have a fitted leather insole and a natural cork midsole. 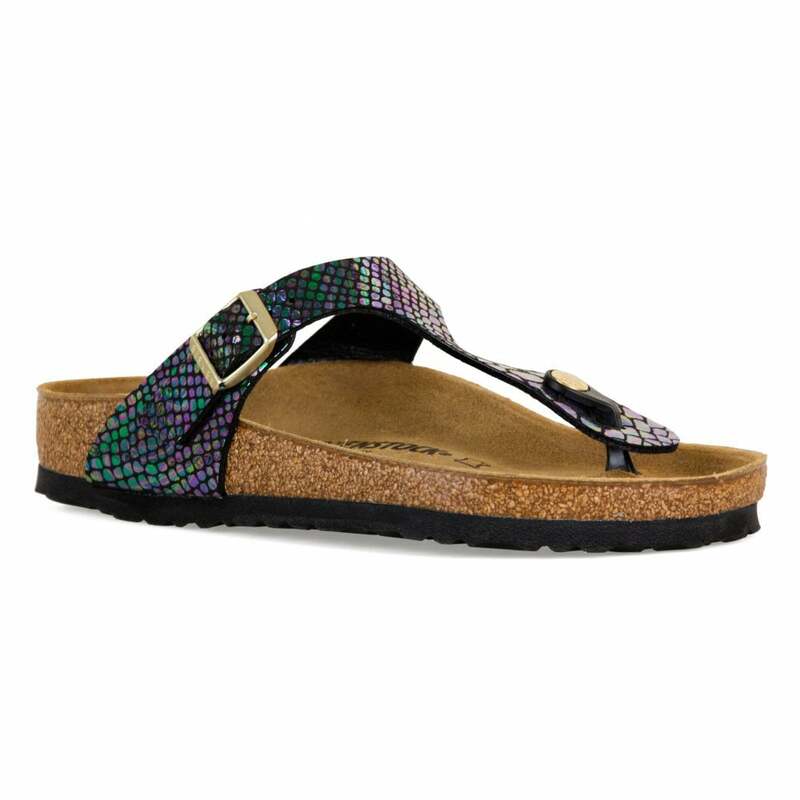 Birkenstock branding appears on the at the sides in metallic gold and the EVA sole has a deep tread for added grip.